Dhaka, 5 April, Abnews: The 29th council of Bangladesh Chhatra League (BCL), the student wing of the ruling Awami League, will be held in the capital on May 11 and 12. 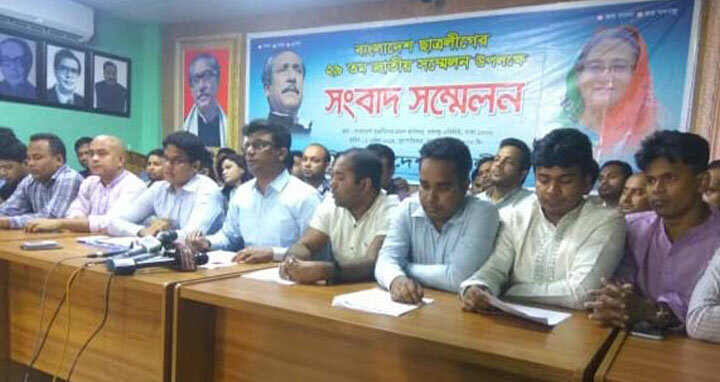 Central Chhatra League President Saifur Rahman Sohag and General Secretary SM Jakir Hossain announced the council schedule at a press conference at Awami League’s Bangabandhu Avenue central office in Dhaka on Thursday morning. The central council will be held on May 11 and 12 as per the schedule announced today. Prime Minister Sheikh Hasina, also president of Awami League, is expected to be present at the inaugural session of the two-day council, said a BCL press release.